A J Sparks Maintenance - Cleaning Services, Garden Services, Landscaper based in New Addington, Surrey. 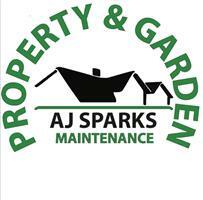 AJ Sparks Maintenance is a small family run company specialising in property maintenance both internal and external. We have expert knowledge and experience in grounds maintenance and garden construction, especially water features and koi ponds. We offer anything from a general grass cut, artificial grass installations, pagodas, patios, concrete slabs, fencing, ponds and water features. We can also undertake all internal maintenance.